Joleane Presley works as a hospital chaplain. Her ministry involves providing pastoral care to patients who are recovering from physical disabilities such as stroke, amputation, head injury and spinal cord injury. She graduated from Duke Divinity School Seminary in 2001 with a M.Div. She has an undergraduate degree in rehabilitation counseling. Joleane has been married for fourteen wonderful years to husband Scott. She is a devoted “fur mommy” to her three terriers! 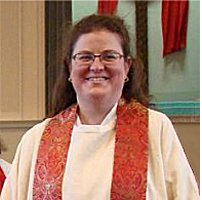 Joleane was ordained a priest on June 22, 2013 in Falls Church, Virginia.